Phoebe Bridgers wowed with her debut album Stranger in the Alps, and now one of the record's standout tracks has been treated to a music video. 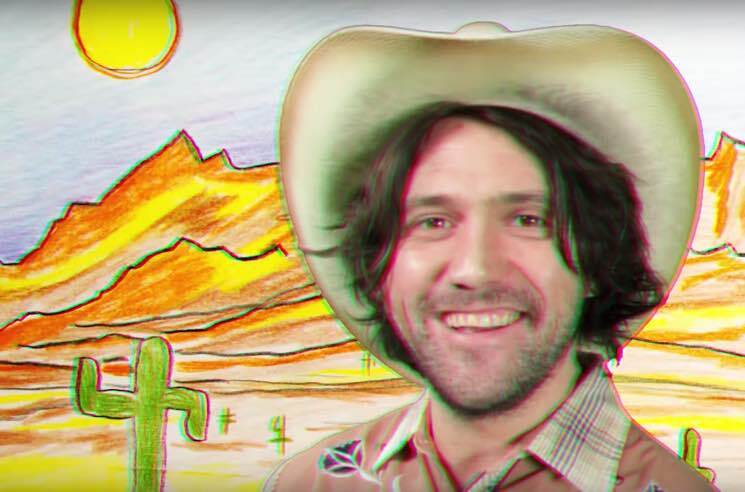 "Would You Rather" hears the up-and-coming singer-songwriter pairing up with emo-kid-turned-folk-singer Conor Oberst, and they reunite onscreen in the new clip. It sees Bridgers and Oberst trading lines back and forth amidst a blend of child-like animations, fuzzy VHS footage and cut-and-paste effects, making for an endearing visual piece. She's also heading out on a North American tour in the new year. See the newly announced dates below. ​Watch Phoebe Bridgers and Conor Oberst Cover Lady Gaga and Bradley Cooper's "Shallow"
Conor Oberst and Phoebe Bridgers' Better Oblivion Community Center Became a "Real Band, Kind of by Accident"
​Phoebe Bridgers and Conor Oberst Share Better Oblivion Community Center Video for "Dylan Thomas"